The Martvili Canyons in Samegrelo-Zemo Svaneti region are named after the nearby town of Martvili. 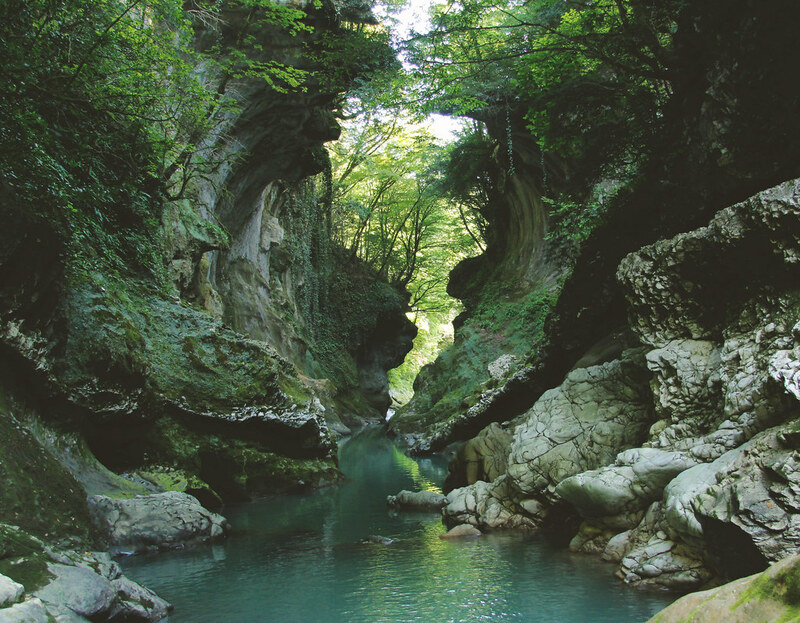 The spectacular canyons, caves and waterfalls were formed over time by the Abasha River and feature beautiful green and blue colors. 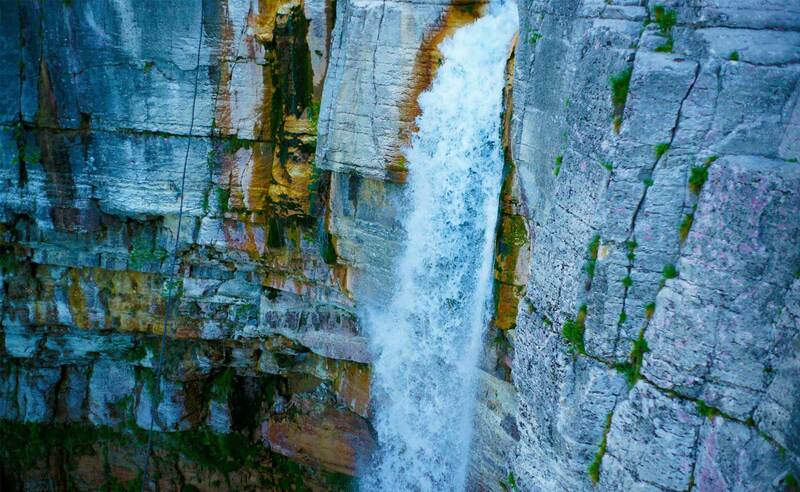 One of the tallest waterfall of Georgia – Kinchkha together with another water abundant waterfall nearby, Okatse Canyon natural monument (just a few km from Kinchkha in Gordi village) with recently built high quality tourist infrastructure – stairs, footpaths offering magnificent views to the canyon and its surroundings make a nice day out in the nature especially in spring when water levels are high and nature is in blossom with flowers all around and smell of yellow azalea and with still snowed Askhi Pleatau ; Also in summer when you can swim, relax or just find a really cool place for picnic and to taste some homemade Georgian wine with locals. The Dadiani Palaces History and Architecture Museum is considered to be one of the most eminent palaces in Caucasus. The first exhibition, of archaeological excavations of the ancient city of Nakalakevi was prepared by Megrelian prince David Dadiani and took place in 1840. 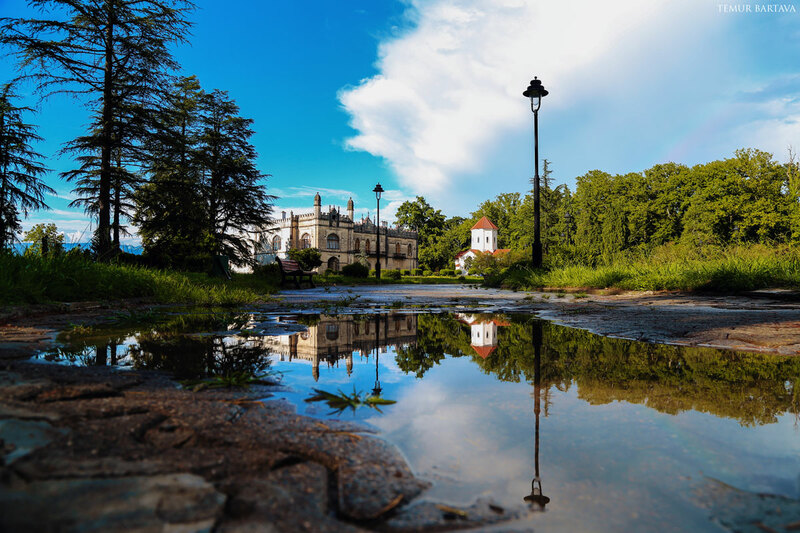 Three palaces form the modern museum complex, parts of which are also Blachernae Virgin Church and Zugdidi Botanical Garden. The Dadiani Palaces History and Architecture Museum houses some exhibits of natural cultural heritage of Georgia – Tagiloni treasure materials, Mother of God holy vesture, the icon of queen Bordokhan – mother of queen Tamar of Georgia, manuscripts from 13th – 14th centuries, miniatures, memorial relics of Dadiani dynasty, and objects connected to emperor of France Napoleon Bonaparte – brought to the palace by the husband of David Dadiani’s daughter, prince Achille Murat, grandson of Napoleon’s sister, Carolina.